With usage stats for January reported, GM has stated that Chevrolet Cruze owners used the Onstar RemoteLink App more than any other group of GM vehicle owners. Usage in January of 2014 was at a high, thanks to the Polar Vortex sending temperatures plummeting in some of the most populated areas of the country. On January 7, 200,000 requests were sent through the RemoteLink App, setting a single-day usage record. On January 28, a single-hour usage record was set with 20,000 requests. RemoteLink App requests for the month of January totaled 2,909,674. About 55 percent, or 1,603,107 of those requests were for remote start, which allows owners to warm up the car in advance of getting inside. Unlike warming up a car by going out and starting it, the remote start feature leaves the doors locked. Since the keys are not in the ignition, the car cannot be moved. Queries about vehicle data made up 15 percent of all requests. Owners checked on information like tire pressure and oil life remotely. Chevrolet Volt owners checked on how the cold temperatures affected their battery charge levels more than any other piece of information. The high usage of RemoteLink was spurred by a record number of downloads of the phone app. January typically is a common month for app downloads, but January of 2014 saw far more downloads than ever recorded before. GM credited the abnormally cold weather for the high number of app downloads. 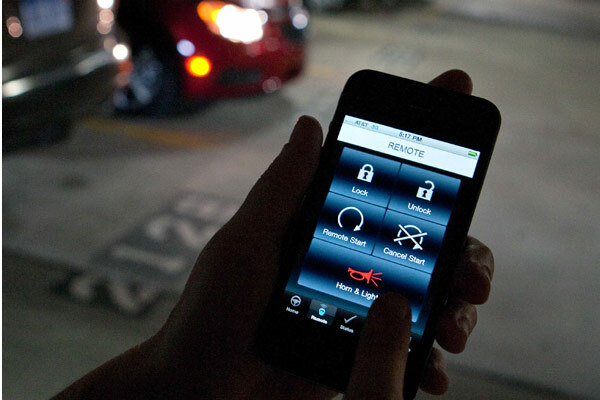 GM vehicle owners must have an active OnStar subscription to use the RemoteLink app.